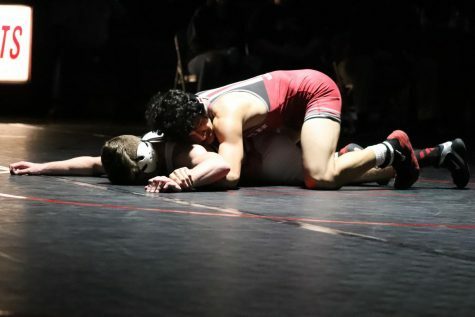 The Sequoit wrestlers go into sectionals hoping to get one step closer to their goals. 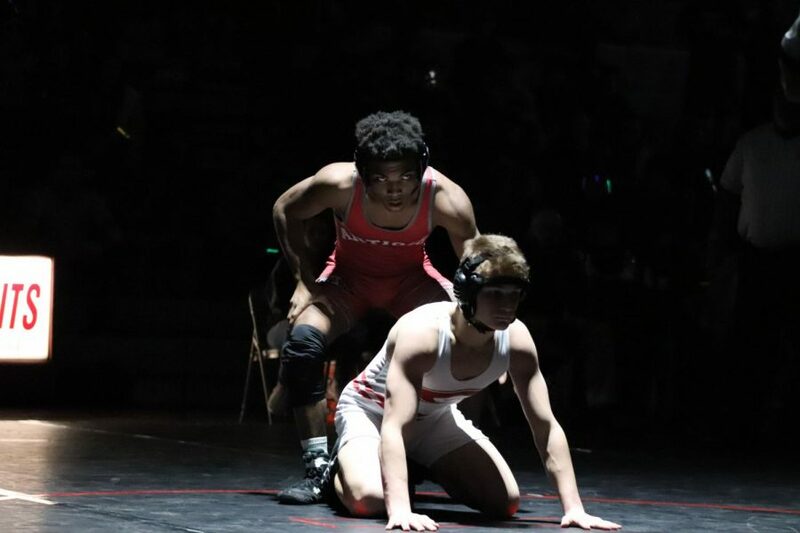 Senior Jackie Sistrunk gets ready to mount his opponent during the second half of his match. 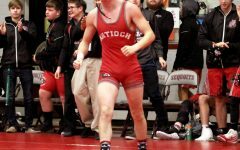 Last weekend on Saturday, February 2, the Sequoits wrestlers won their regionals meet for the fourth year in a row. 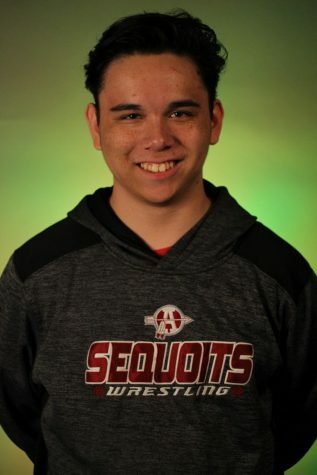 The Sequoits have had a great season so far and have multiple athletes with the potential to qualify for state. 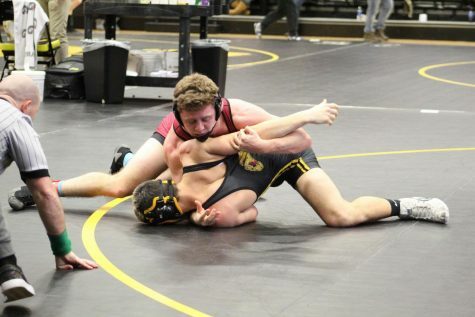 Out of all the Sequoit wrestlers at the regionals meet, eleven varsity athletes qualified for the sectionals meet. Alexander Barbarise had a great performance and placed first. 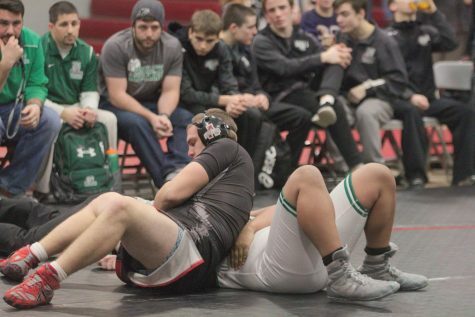 Other athletes that qualified include Elijah Reyes, Michael Volkmar, Drew Lehn and more. 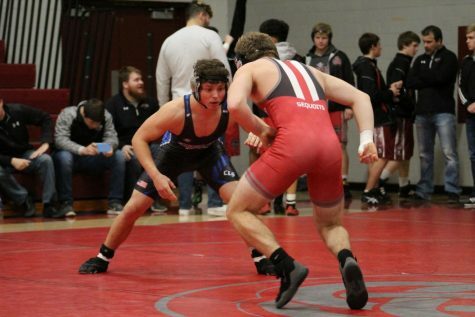 So far the Sequoits have impressed parents, teachers and coaches alike and have truly shown that they are a force to be reckoned with. 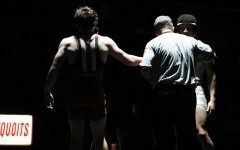 The athletes have shown unbelievable strength, endurance and a fierce mindset which some would say is the most important aspect of any wrestler. They have trained their whole season for this and are prepared to take on any challenger who poses a threat. The wrestlers have always been a very competitive team. 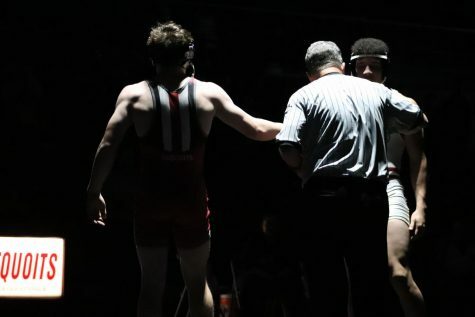 This year they have shown that they are not letting anything get in the way of the podium and they are willing to do whatever it takes to be the last man standing. 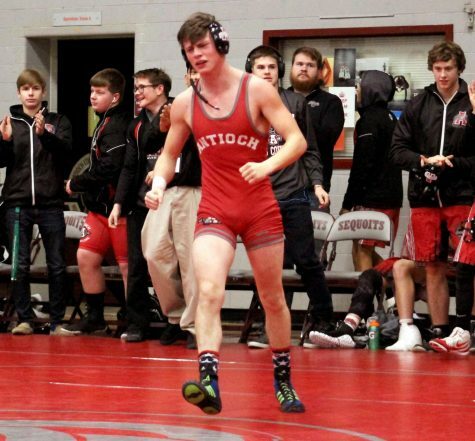 The Sequoits have their sectionals meet tonight at 4:30 p.m. at Antioch Community High School. After sectionals, they will face state on Thursday, Feb. 14, down in Bloomington-Normal Illinois. 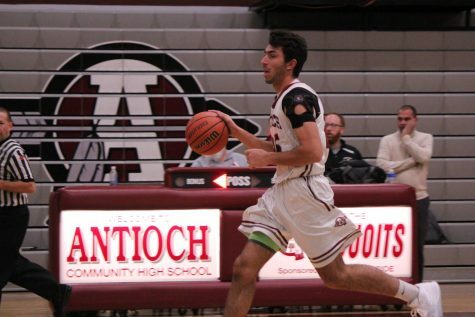 Be sure to cheer on your fellow Sequoits at the end of their season as they approach the state championship.